These muffin size mini bundts are the perfect grab and go breakfast. 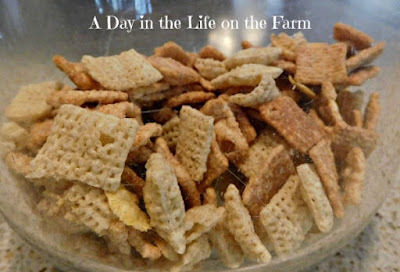 Made with the scraps remaining in all those cereal boxes crammed in your pantry, it serves a dual purpose. You clean out your cupboards and you can give your family a breakfast treat that you feel good about. 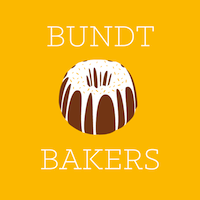 This month's Bundt Bakers is being hosted by Felice of All That's Left Are The Crumbs. Felice asked us to create a bundt that contains cereal. I don't know about you but I always seem to have several boxes of cereal with about a 1/2 c. or less of cereal in the bottom that just languishes there. Normally, I will give it to the chickens as a special treat but this month they got cheated out. This month they hens got cheated. 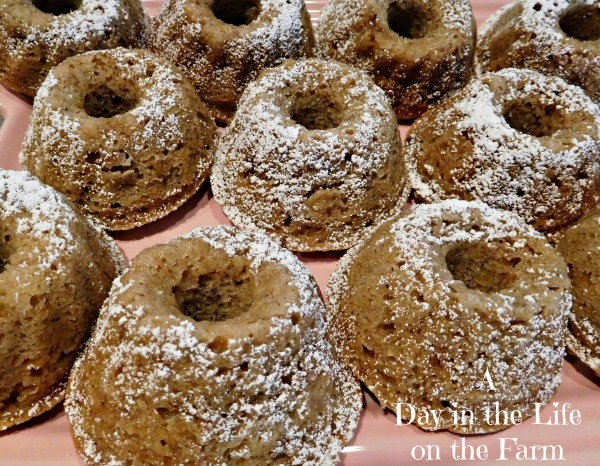 This 2 cups of assorted cereal went into these mini bundts. You can use any cereal that you want just keep in mind that if the cereal is sweetened you will want to adjust your sugar accordingly. 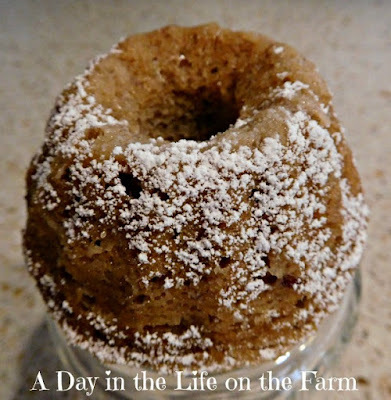 Since I was using cereal, I decided to use my muffin size bundt pan and make breakfast bundts. 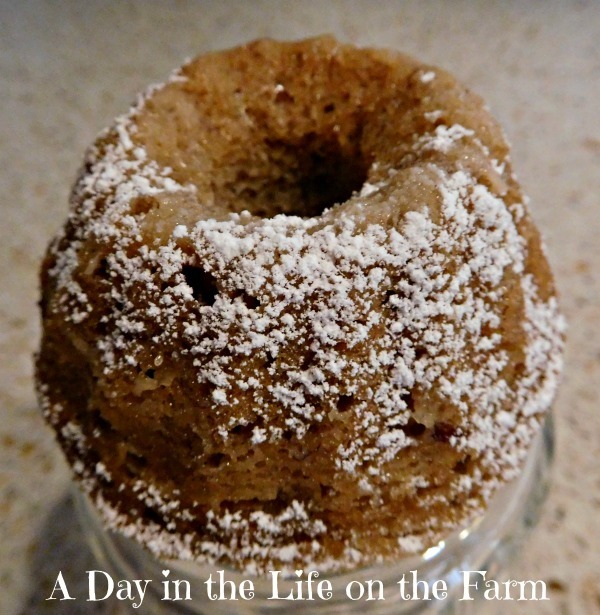 You could make this in a full size bundt pan and even add frosting if you want. I decided to just sprinkle a bit of powdered sugar over them and call it a day. I heard no complaints. 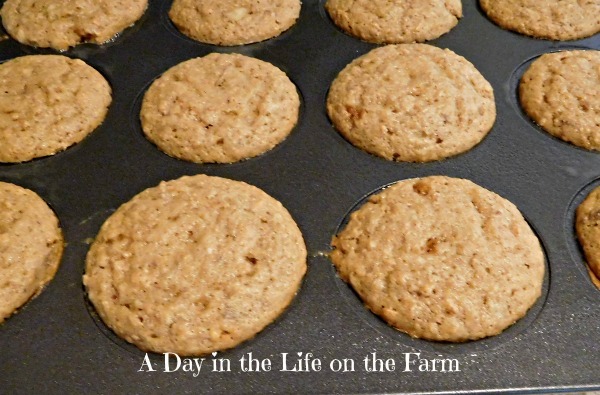 They bake up quickly, just like muffins, making this the perfect breakfast food. The entire process takes less than half an hour and then you can let them cool while you finish your morning routine. Once they are cooled and turned out from the pan, you have these adorable little bundts that are portable and delicious. Serve them as is or sprinkle with some powdered sugar, as desired. 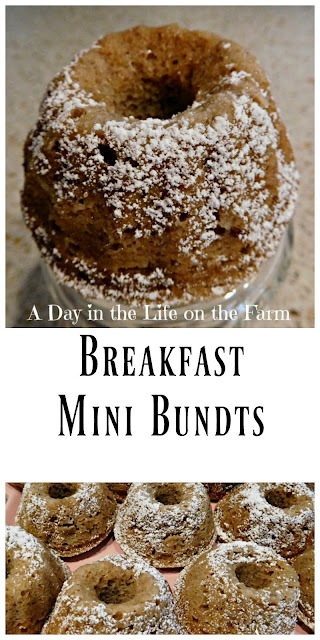 These muffin size mini bundts are the perfect grab and go breakfast. Place cereal in a food processor and pulse until fine crumbs. Measure the crumbs and add flour to make 2 cups. Pour into large bowl of stand mixer, fitted with paddle attachment. Stir in the baking powder, baking soda and salt. With mixer on low speed, add the oil, sugar, banana, buttermilk and egg. When moistened, increase speed to medium and beat until well combined. 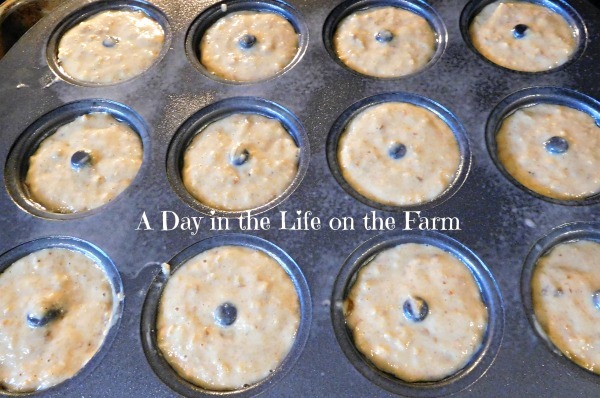 Scoop into mini (muffin size) bundt pans that have been treated with baking spray. Bake in a preheated 350* oven for 15-18 minutes, until a skewer inserted removes cleanly. Let cool in pan for 10 minutes before turning onto a cooling rack. Once completely cooled, sprinkle with powdered sugar, if desired. 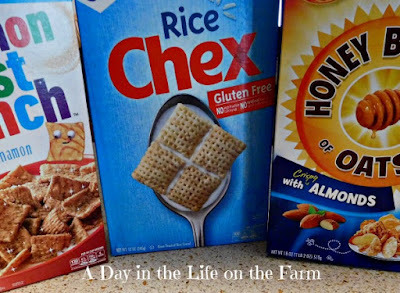 What a great idea for breakfast and to clear out those almost empty cereal boxes, Wendy! But it felt good to chuck those in the recycle bin. Sadly (or happily) with all the kids gone I no longer buy boxed cereal! But these sound delicious. They were good Paula. I love cereal though. My favorites are Cranberry Almond Crunch and Multi Grain Cheerios. What a fantastic idea to use leftover pantry items! I may have to buy several boxes of cereal so that I can treat myself to these little cuties. Great idea and they look very tempting! Holy Cow..it's time for the Weekly Menu already.